Why does Italian cuisine especially the Italian pasta have become famous all around the world? Because it’s a harmony of the simplicity and the complexity. The ingredients themselves are really simple: flour, water, a pinch of salt. The secret of a delicious pasta is actually its texture and thickness. With our 20 years of experience,we are now able to bring you the pasta which assumes all the characteristic of traditional homemade pasta, with the rough surface, amazing texture, and the perfect thickness. 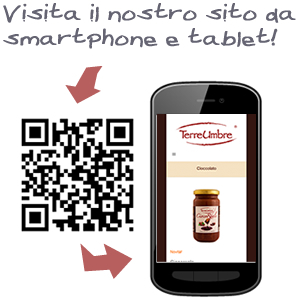 The production of hard wheat pasta Terre Umbre follows the classic method. All kinds of pasta are granted to rest and be dried up to 40 hours for the best result. We know that it takes times to make a stunning pasta, as it takes times to enjoy it. The whole line includes STROZZAPRETI, UMBRICELLI, UMBRICELLI BOSCAIOLO (AI FUNGHI E TARTUFO). Store in a cool, dry place away from light. What is better than pasta? Egg pasta. Simple and quick to cook, easy to be accompanied by meat sauce, fish or vegetable, and cheese. 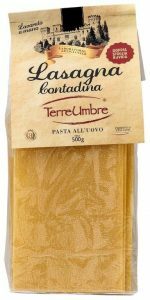 The master chefs of Terre Umbre offer a line of high-quality pasta made with eggs from Italian farm and flour from Umbria’s field.The complete line includes homemade LASAGNE, TAGLIERINI, TAGLIATELLE, FETTUCCINE, TAGLIERINI PAGLIA E FIENO, SPAGHETTI DEL CASTELLO, TONNARELLO TRIPLE BROWSE, PAPPARDELLE, MALTAGLIATI. For soups: CAPELLINI, RUSTICHE, FILINI, QUADRUCCI (small/medium/large).